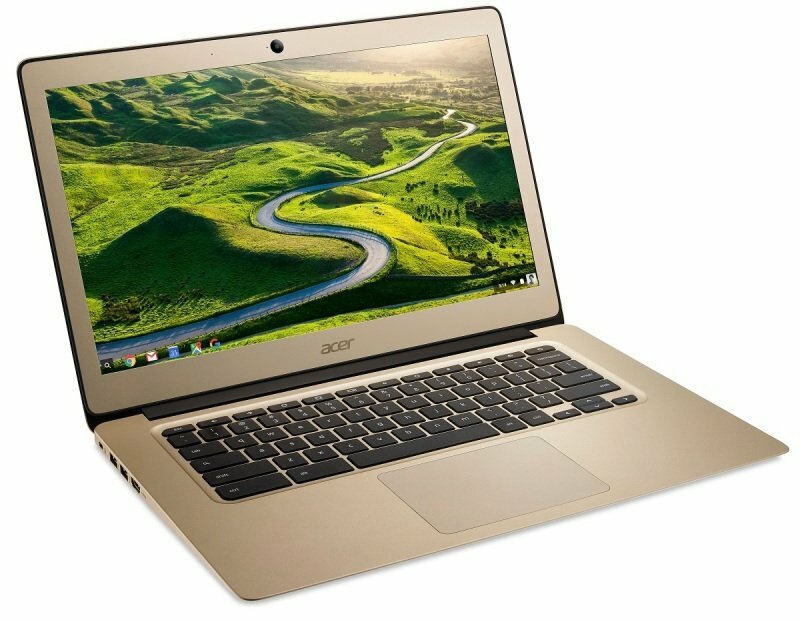 The Acer Chromebook 14 has everything you'd expect and then gives you more. For one thing, it's completely encased in aluminium alloy. Then you get a bigger 14-inch anti-glare HD or Full HD screen, up to 12 hours of battery life and enhanced wireless speeds. And did we mention it's absolutely stunning? All aluminium alloy housing. Need we say more? Possessed of style, strength and durability, our Chromebook 14 will go the distance and back again. Good looks don't have to be fragile. "All day"? Could mean a lot of things depending on who you talk to. We figure with up to 12 hours of battery operation, you'll agree, whatever you call a day, we've got you covered. Enjoy up to 3 times faster1 wireless than before with dual-band MIMO technology 802.11ac technology. Stream, download and share to your heart's content.